An essential knife set for any cook, ProCook Gourmet X30 knives are stone ground for a super sharp cutting edge and feature specially designed contoured handles for maximum comfort and grip. 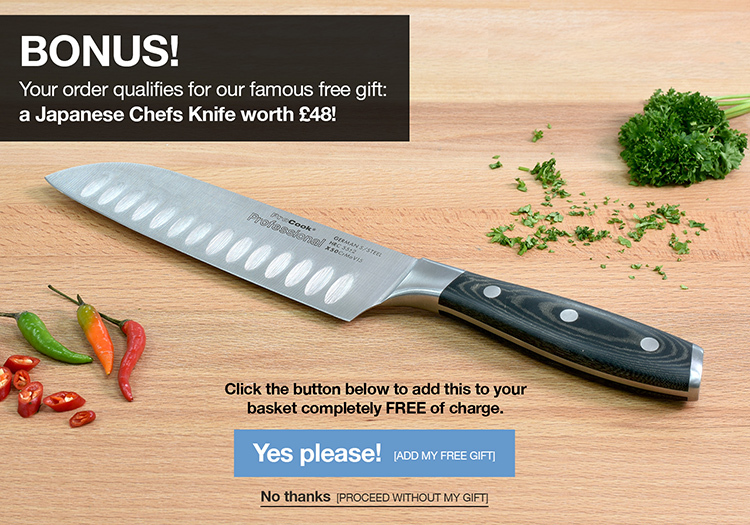 The 7 piece set includes 9cm paring, 13cm utility, 15cm chefs, 18cm santoku, 23cm bread and 25cm carving knives. Knives 10-year guarantee / Case 1-year guarantee - ProCook design, manufacture and supply innovative quality product and cut out the middleman to bring you unbeatable prices. Excellent product I couldn’t tell the difference between these knives and others at twice the price.